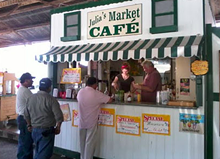 Julia's Market Café is a little shack of a place in Soulard Market. It's not the kind of joint you'd expect to serve a delicious bloody mary. But they do. They really, really do. We honestly don't know what it is about Julia's bloody mary that makes it so incredible. It could be the "secret seasoning" they add. Or the asparagus. Or the green beans. Or the celery. It's all so good! 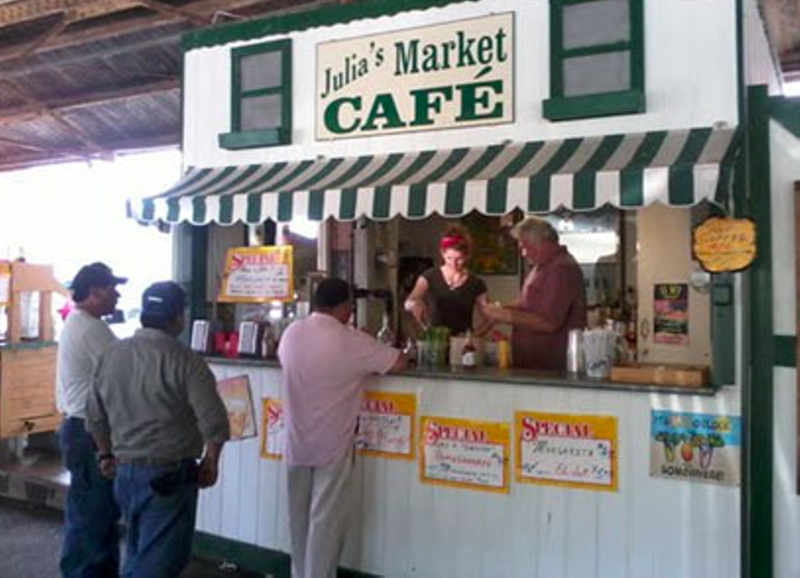 Julia's also serves chili, hot dogs, chicken dumplings and more, as well as margaritas and beer.